Rabies is a zoonotic disease, meaning it can pass between species. Transmission is usually via a bite wound inflicted by an infected animal although scratches may also be a risk. It is famed for its violent symptoms, including hydrophobia and foaming at the mouth, and for being a particularly unpleasant and distressing death. Prognosis once symptoms are evident rabies is all but 100% fatal with only a handful of recorded survivals in its 4000 year history. 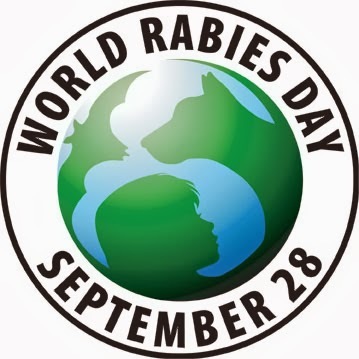 Geographically Rabies is found on every continent on Earth, except Antarctica. In the middle of the 20th Century, USA and UK took successful measures to control the disease and it is now well controlled in most developed countries – although it is still present in wildlife. Despite being a disease that we have the capacity to prevent, rabies continues to cause immense human and animal suffering, claiming circa 55,000 human lives and countless animal lives every year. During 2012 the United States reported 6,162 rabid animals and 1 human rabies case to the CDC. 92% of reported rabid animals were wildlife. Rabies control in wildlife is a large-scale annual effort led by USDA APHIS Wildlife Services. On the east coast the primary focus is oral rabies vaccine-laden baits targeted at raccoons. The reduction of rabies cases involving humans in the US is due to the elimination of canine rabies virus variants, vaccination of wildlife, and administration of post exposure prophylaxis in a timely manner, and education of health-care professionals and the public. Although the number of human rabies cases has been dramatically reduce, cases continue to occur, primarily as a result of exposure to bats.